Some of the beautiful bird photo collections in Singapore. Fantastic job. Very kind of you to share your pictures. It was only after retirement that I had the chance to investigate my neighbourhood for wildlife and to my great surprise Singapore teeming with it. Your pictures are a great help in identifying the birds. Thanks again. Enjoyed your pictures. Lovely. Adds to my pleasure visiting the parks, running or just walking around the gardens anywhere in Singapore. I took it at HortPark. Do you have any locations where I can take pics of the red whiskered bulbul? I would prefer the location to be at roadside. Kindly mail me if you have any spot. Hi may I know where I can find red whiskerd bulbul in SG? I have been looking for a place where I can take some pics. Preferably the location are near roadsides . Thank you for sharing your beautiful pictures. 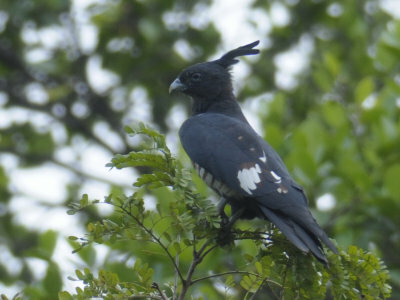 My family regularly see several flocks of greyish green plumb birds with a bit of red around either the wing tips that will fly from bukit batok town park towards bukit timah nature reserve. Flocks of 2-6 will fly from 0700 to 0730. I reckon they look like small parrots by their flight speed and straightline flying pattern. What do think they are? The most common one I saw in Jurong Area is called Cattle Egret. I frequently saw white storks near patches of green field outside chinese garden. Sometimes along patches near juring east mrt, sometimes as far as patches beside jurong point. May I know what is the exact name of the bird? These are some of the sites I visit for my bird information. Hope this will help. Hi, I am a 1st year JC student. I need to submit a project of 500 words by Monday. Article is about what the government is doing to protect wildlife birds. Can you please assist me with the relevant websites for me to get the right facts and statistics. Thank you. Hi, I am a 1st year JC student. Currently doing a project and need to submit my report of 500 words on Monday. My article is about what the government is doing to protect wildlife birds in Singapore. I need statistics and references. Can you please assist me with the relevant websites for me to get the right facts. Thank you. Hi, I can only make a guess from your description. I think its a Drongo, Lesser Racket-Tailed. This birds always flew around my work place around 1845-1920hrs daily.. Its black in colour, It has a double tail and at the end there is a spade shaped.. What bird is this? Looks kinda exotic..
" A huge bird with black head, full black body, a quite a long black tail and red brownish wings. " It could be an Asian Koel. Not very sure from your description.
" There is a bird I see - I am thinking it is a Kingfisher - it has a brown head and beak but very blue body/wings. " I think its a Stork-Billed Kingfisher. The description is as follow: A huge bird with black head, full black body, a quite a long black tail and red brownish wings. Spotted around malcolm rd. Any ideas? Sorry I have an request to ask. I saw a huge huge bird with full black body and only red brownish wings. Can you help to identiy what type of bird is that? There is a bird I see - I am thinking it is a Kingfisher - it has a brown head and beak but very blue body/wings. Can you suggest what type of bird it is? Great job, Great shots. Recommend another location....along Buckley Road (off Newton Road)at 6.30 to 7+am....I counted 6-7 species of birds feeding on the berries of the ficus, starlings, bulbuls, pink breasted pigeon, thrush and several more which I have not been able to id. Excellent shots, thank you for documenting the birds in Singapore. I have learnt much from your gallery. Thank you for sharing. You basically need long lens and lots of luck. Hope it will not fly off before u get a shot. Hi, a fabulous collection of birds photo you have here. How did you managed to get close to the Black Bazar? I could never get a decent shot of this guy or gal u may call it, any advice? Thanks. "...a good place for an amateur with little time to go bird watching?" I would say there are no much place for bird watching except Sungei Buloh Wetland Reserve. Most of the birds I took are migratory bird from North of Singapore.
" ...where did u get the pictures of the cockatoo from?" 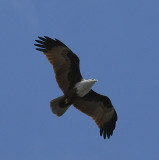 It was a chance encounter.I took this pic at West Coast Rd - between block 601 and 609 car park. I was waiting for a bus at the opp bus stop. Great collection of bird photos. Saw a colorful little bird at east coast the other day and came here to identify it. Turns out its the coppersmith barbet. So thanks for that. Any recommendations where might be a good place for an amateur with little time to go bird watching? Hi Mr Tay, just wondering where did u get the pictures of the cockatoo from? I used to see them hanged out at one of the tree in Newton, went back a few months back and very dissapointed as the tree had been put down and totally replace by building. The most common 'yellow' bird in Sinapore that I can think of is an Oriole. I can try to ID them. I stumbled into your marvellous collection of winged beauties. So thrilled I could identify several species who have been visiting my garden. There is a tiny red bird and a bejewelled azure blue one who drops by every afternoon for a sip of nectar from the ornamental banana flowers. I'm hoping to be able to capture them in photos one day. Would you happen to know these birds? but sometimes in the evening." I believe the bird is a male Asian Koel and it's looking for a female. Hi, enjoyed your bird pictures very much, nice. There is a black bird (more than one foot long) living near my house (Bukit Panjang). It doesn't sing but hound like a monkey (long arms type). It goes Ooik Ooik. Very loud and from slow to fast. Any idea ? I will try to take a picture one day (if I get to see it again - only once so far). I know some people hate this bird but my wife and I find it very cute. Like a alarm clock in the morning around 7am plus. Don't hear him in the day but sometimes in the evening. Magnificent shots! Some of these pictures are quite hard to capture. Thanks for having a little more time focusing on the picture of the birds! Excellent variety, though it's hard to view. Would be nice if the galleries were all together so it wouldn't break the flow.